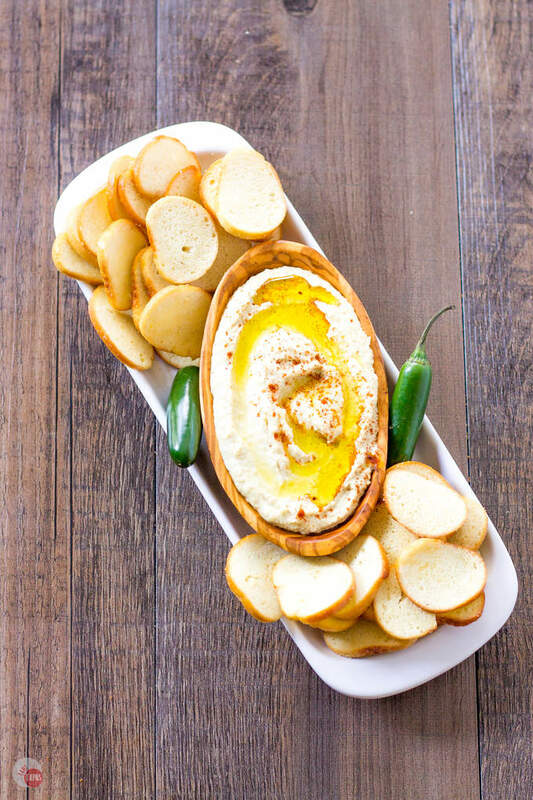 Classic Creamy Hummus made with a secret trick is enhanced with pineapple, spicy serrano peppers, and smoked paprika for a flavor explosion! 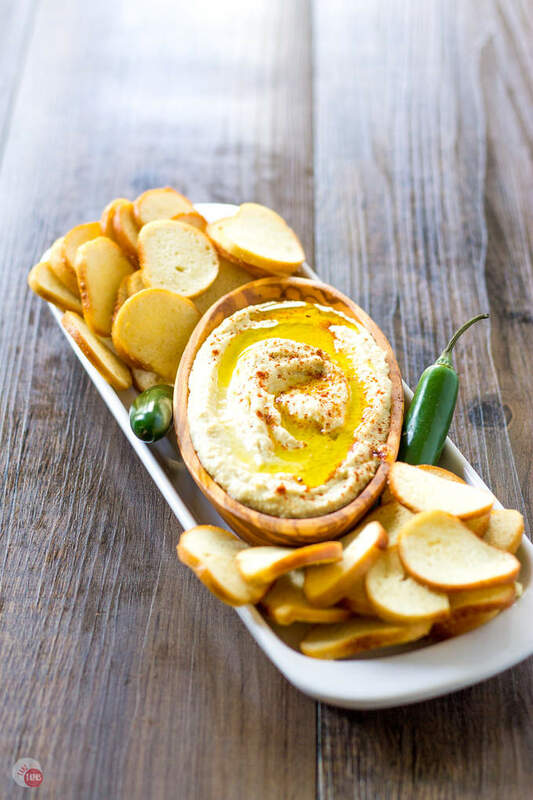 Serve this pineapple hummus with pita chips or bagels chips and it makes a great lunch! So yesterday I made a gallon of hummus. Yes, a gallon! I did not set out to make that much, just the regular recipe amount. But once I started experimenting, it got out of hand quickly. See today is Freaky Friday and I want to share an amazing recipe from my friend Lisa over at her blog Lisa’s Dinnertime Dish. The one that I can’t get enough of is her Pineapple Hummus with serrano peppers. I have never had hummus with pineapple and was immediately intrigued. Lisa always has delicious recipes! 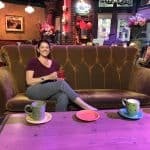 She has been blogging about budget friendly dishes for a while now all while explaining more of the cooking process to you so things don’t seem so daunting. As a home cook, this is important. We tend to psych ourselves out of making meals that we really want to try but are afraid to. 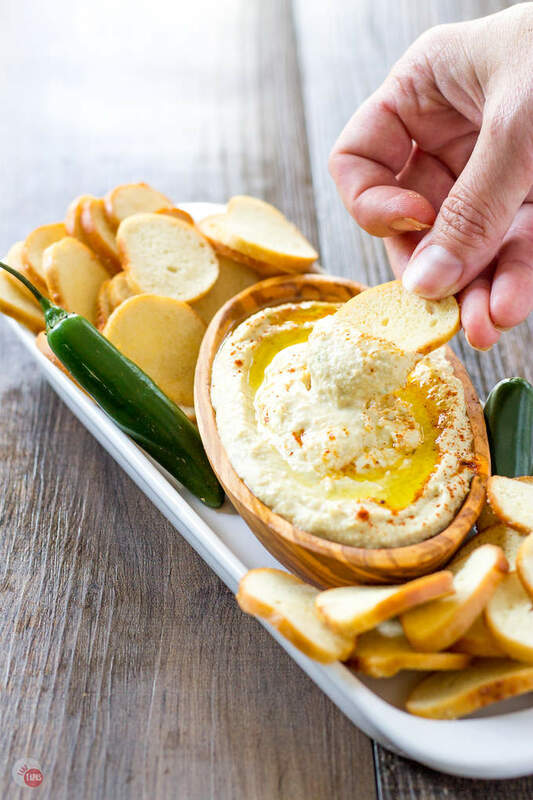 When I am looking for a quick and easy appetizer to whip up I know that I can go to her page and grab a recipe for one that is delicious, easy to make, and always creative! If you open up her appetizer archive be prepared to sift through at least 10 pages of recipes. I started to drool on my keyboard at the thought of making her Garlic Rosemary Fries (so did my potato loving son), and her Coconut Shrimp. I can never get my coconut to stick to my shrimp! Check her out STAT! Back to my gallon of hummus. By the way, anyone want to come over and help me eat it? Bring pita chips!! The reason I made so much hummus is that I wanted to try out a trick to make creamy hummus that I saw on my other friend’s blog. 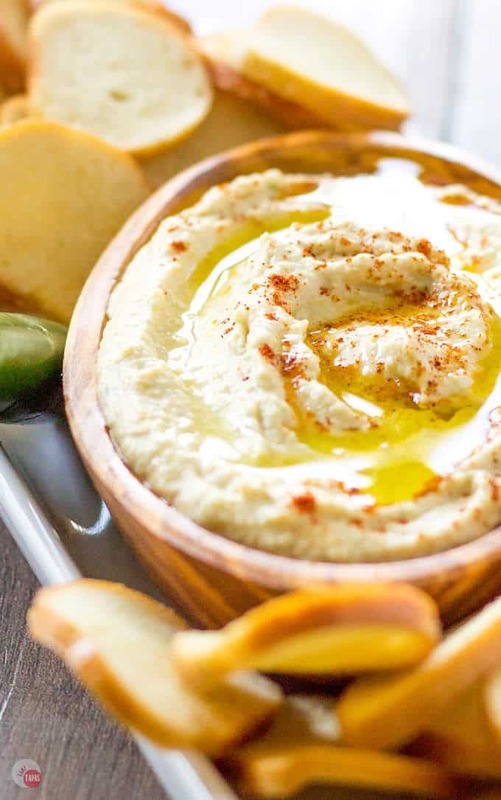 My girl Tara over at TaraTeaspoon shows you how to get the tough outer skin of the chickpea to break down which makes the hummus extra creamy. Baking soda! Tara’s recipe calls for 2 cans of chickpeas, or garbanzo beans, and Lisa’s only calls for one. I just doubled Lisa’s recipe to make the process work. Add in all the other ingredients like the yummy tahini, the zesty garlic, and the bright lemon juice, and the volume just keeps rising and rising. Pretty soon I had a food processor full! Check out my Instagram post and you can see it! Cooking the chickpeas in baking soda works like a charm and you can do this while making the chickpeas from a dried state or from the can. I cooked the canned chickpeas for about 5 minutes and then add them to the food processor while all the other ingredients are already being chopped. That’s the best thing about food processors and blenders. Minimal prep work and everything gets chopped in no time! This pineapple hummus starts out will all the usual suspects. Chickpeas, or garbanzo beans depending on what your parent’s called them growing up, garlic, lemon, salt, and tahini. That’s the beauty of hummus. Simple and totally adaptable! I have never had a hummus that also has sweet flavors so let’s dive right in. Pineapple, step right up. Sweet and Spicy Pineapple Hummus get Smoky! Lisa’s recipe for pineapple and serrano peppers is so sweet and spicy on its own but I wanted to add my own spin on it. I love making my own spice mixes and rubs as you can see by my Homemade Italian Seasoning, Greek Seasoning, and All-Purpose Steak Seasoning. It’s cheaper, I get to use up all the spices in my pantry that would normally sit there for years, and they don’t have all those extra additives like anti-caking agents. YUCK! My insides don’t need that. Plus I can control the amount of heat and salt. With the pineapple and serrano pepper adding sweet and spicy notes, I really want to add a smoky component. 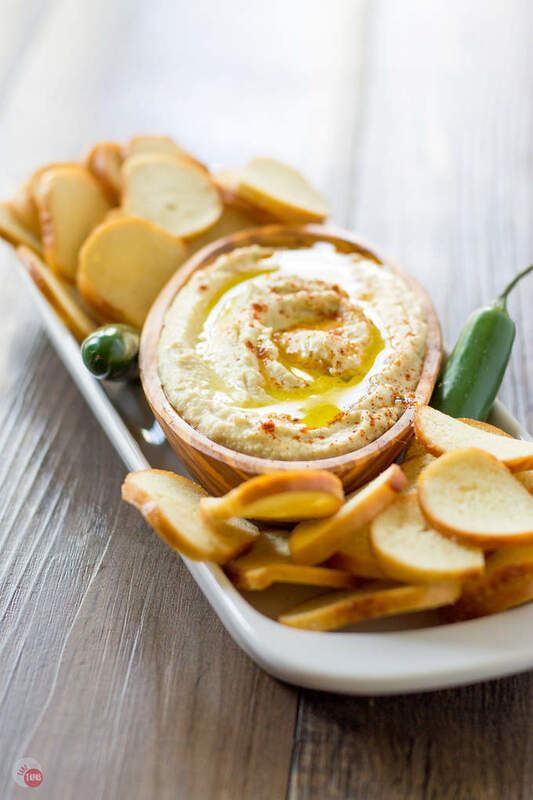 Not only does the paprika add a bright splash of color to the pineapple hummus, but the smokiness adds another layer of flavor to this already exciting hummus. With so many flavors going on, I serve this with plain bagel chips. 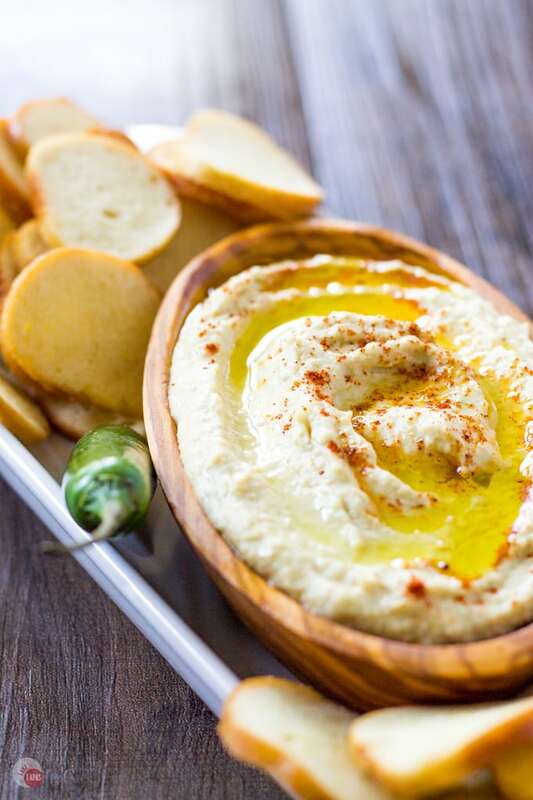 My favorite for all hummus because of the crispy texture and buttery flavor. Plain pita wedges work great too. You can use those to scoop every last drop of this pineapple hummus. Trust me, you won’t want to leave anything behind. In a food processor, add the garlic, pineapple, serrano pepper, and tahini. Pulse to combine and get the ingredients roughly chopped. In a saucepan, over medium heat, add the garbanzo beans with the liquid, the baking soda, and enough water to have a 1/2 inch of water covering the beans. Once the beans are soft, remove from the heat. Add the garbanzo beans to the food processor. Once the hummus is mostly mixed, add 1-2 tablespoons hot water and pulse until creamy. Add the olive oil, lemon juice, and smoked paprika. Remove and chill for 10-15 minutes. When ready to serve, garnish with sesame seeds, smoked paprika, or just a drizzle of olive oil. Serve with pita, bagel chips, or vegetables. In case you forgot, Freaky Friday is a quarterly blog hop where a few of us food bloggers get together and try each other’s recipes. We are assigned another blog, randomly and secretly, our mission is sent to us via FBI classified envelope, and then we choose a recipe from their site to recreate. I like to add my own tapas-twist to it! Check out everyone else who completed this mission and try and guess which recipe of mine they recreated! Pineapple in Hummus what great flavors. Can’t wait to make this for my next get together.